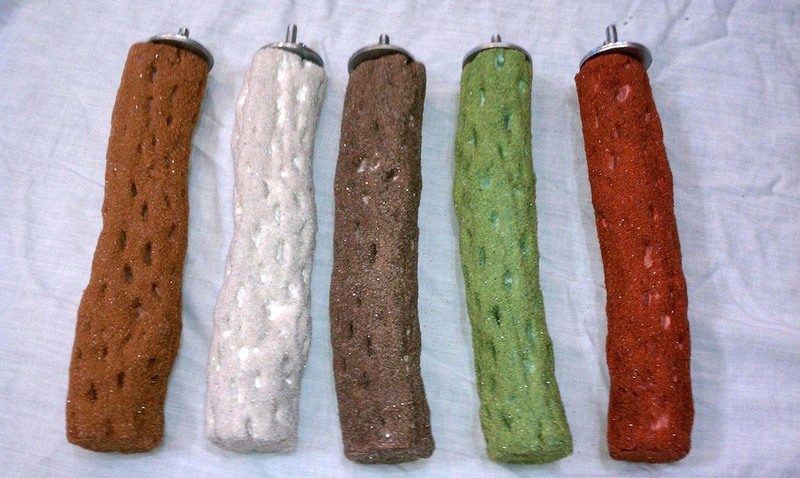 diameter:1 1/4" - 1 1/2"
diameter: 1 3/4" - 2"
Colorful sand-covered perches simplify foot care for caged birds. 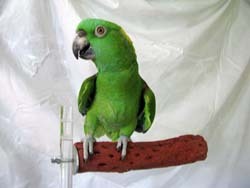 Colorful conditioning perches let you choose from 2 styles to create the dream spa experience for your caged bird. Polly’s Desert Sand perches are vibrant, Southwest inspired colors with coarser grade sand for maximum nail trimming. The Beach Sand perches are crafted for comfort and gentle nail filing with the fine grade sand you'd find at a tropical beach, in colors inspired by the seaside. Both perches have an uneven surface shaped similarly to Cholla and provide ultra foot and leg comfort. Two surfaces: Textured for nail trimming and dimples for comfort. Lightweight, durable and maintains a comfortable temperature. Glitter and dimples are attractive and stimulating to your bird. No wood is harmed in the making of this perch.